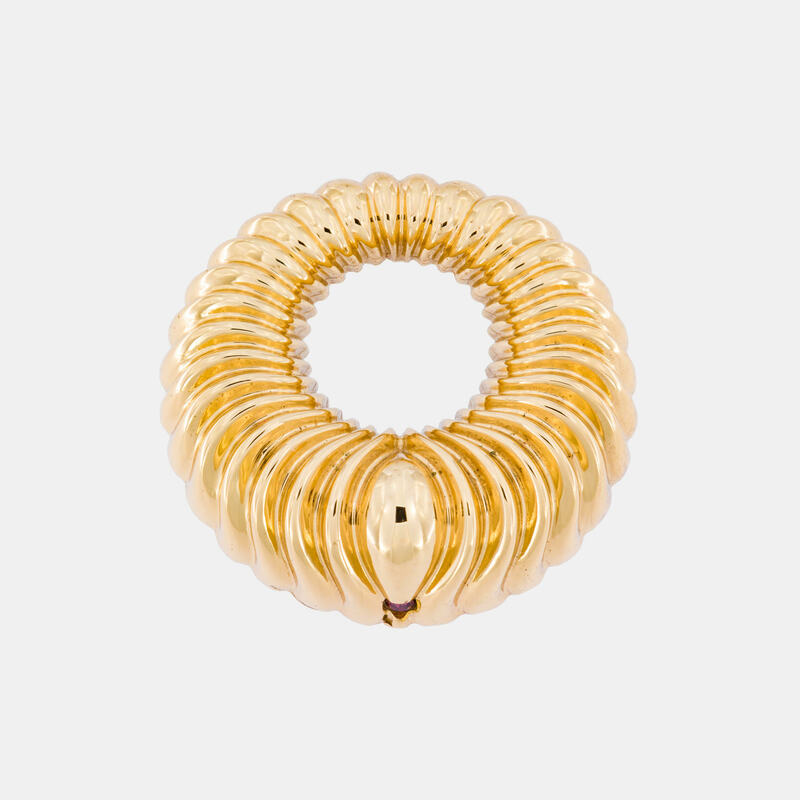 Made of yellow gold-plated bronze, these earrings are the reinterpretation of the classic circle. 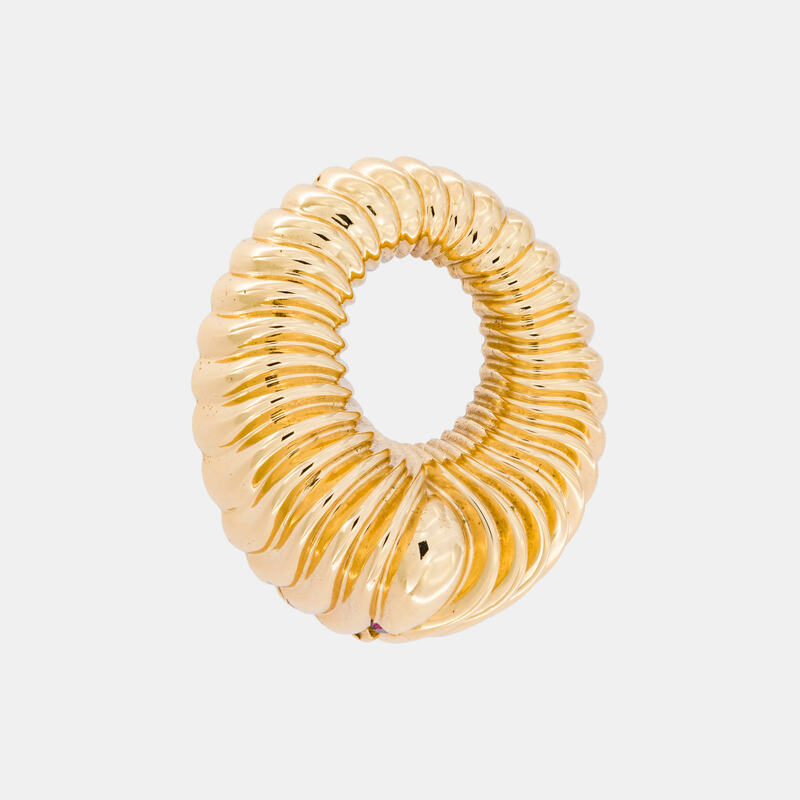 They are finished by the iconic knurled pattern of the brand that creates a kaleidoscopic play of empty and full volumes on the surface of the jewels. 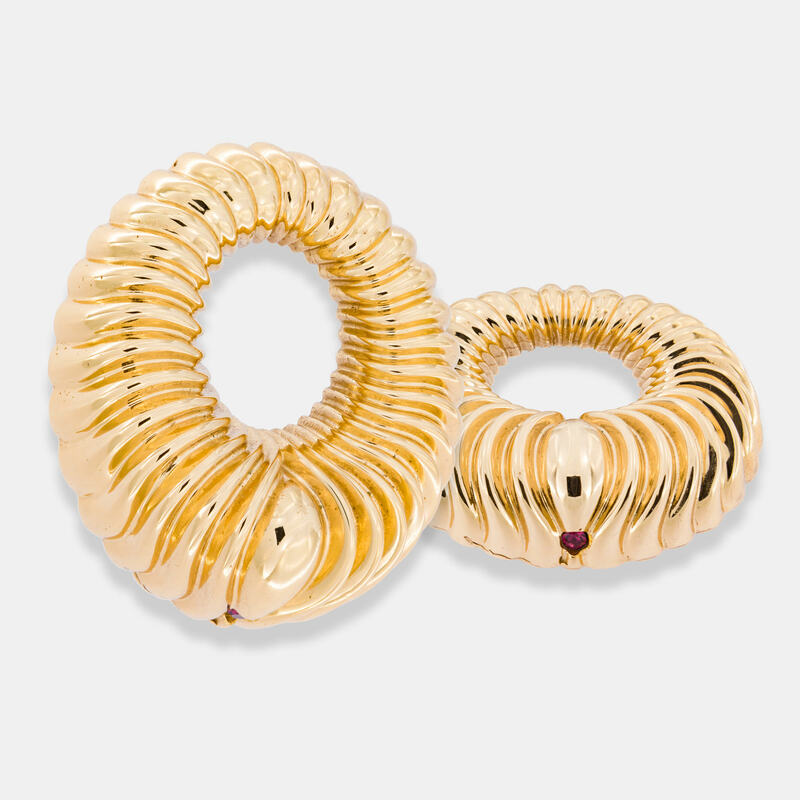 In the lower part, they present a purple crystal, an element that recalls the brand's logo, a detail that denotes the refinement of Acchitto's creations.